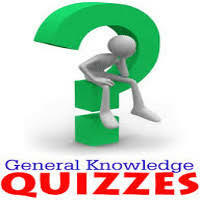 General Knowledge Questions and Answers and general GK Bank SSC Airforce Navy railway RAS 1st 2nd 3rd-grade teacher Rajasthan Police Delhi ITI Helper ASM, Goods Guard, ECRC, CA, TA Exam Rajasthan Jail Prahari New Exam Date 2017. Rajasthan Jail Prahari Re-exam Admit Card And Syllabus 2017 and Download Exam Pattern And answer key And Date Wise 27-12-2017 General G.K Important Question Answer and “General Science” with explanation for various interview Related study material for subject Wise Notes and Math, Hindi, English, Geography, History , Political Science, Psychology, Sanskrit Related Study material. Question (1) Where was the first Open University Established? मुक्त विश्वविद्यालय की स्थापना सर्वप्रथम कहाँ हुई? Question (2) When was the Indira Gandhi National Open University established? इन्दिरा गाँधी राष्ट्रीय मुक्त विश्वविद्यालय की स्थापना कब हुई? Question (3) Where is the headquarters of Indira Gandhi National Open University? इन्दिरा गाँधी राष्ट्रीय मुक्त विश्वविद्यालय का मुख्यालय कहाँ है? Question (4) Where is the Central English and Foreign Language Institute? केन्द्रीय अंग्रेजी एवं विदेशी भाषा संस्थान कहाँ है? Question (5) Where is the Indian Veterinary Research Institute located? भारतीय पशु चिकित्सा अनुसन्धान संस्थान कहाँ स्थित है? Question (6) Where is the Indian School of Mining located? भारतीय खनन विद्यालय कहाँ स्थित है? Question (7) Where is Fort William College? फोर्ट विलियम कॉलेज कहाँ है? Question (8) Who was the founder of Visva-Bharati University? विश्वभारती विश्वविद्यालय की स्थापना किसने की थी? Question (9) When the British government appointed the Saddler Commission to improve education? शिक्षा में सुधार हेतु ब्रिटिश सरकार ने सैडलर आयोग कब नियुक्त किया? Question (10) Which language is mentioned in the Mughal period? मुगल काल में किस भाषा को रेख्तां कहा गया है?